Solving problems, especially those that are water damage related, are the name of the game for Eli Elkayan and his crews of expert water removal specialists with 911 Restoration Houston. Eliminating the troubles of homeowners with water damage Sugar Land issues is what keeps Eli at the top of his game in the restoration industry, and what fulfils him about every restoration job he takes on. Being there for his customers is a ll in a day’s work for Eli, and this includes answering any questions they have about the entire restoration process, as well as to walk them through any worries that they have about anything that springs up. Eli goes the distance for all of his clients, and one of the ways that he ensures their satisfaction on all of his jobs is by responding on-site within 45 minutes of an emergency distress restoration call. To add to this ability, Eli and his teams of IICRC certified experts are available 24/7/365 for whatever kind of disaster bubbles to the surface. From roof leaks, to toilet overflows and all kinds of flooding catastrophes in between, Eli has your back no matter what. Don’t let your home or business become overrun with the destructive nature of water damage. Give Eli and the experts with 911 Restoration Houston a call today! Eli knows that the area in which the city of Sugar Land now sits, was at one point a giant plantation that raised corn and cotton, but most especially sugarcane, from which the city gets its name. The fertile land next to the Brazos River was an ideal soil for the growth of sugarcane then, and today it makes a fantastic backyard for all of the residents who have converted what was once farmland to residential properties. While the river provides scenic views and an excellent place to raise a family, it also brings with it the potential for extreme water damage when the banks overflow and flood area homes and businesses. “This is why we are ready for whatever happens, whenever it happens, wherever it happens.” Eli says. To provide this enhanced level of preparation and security, Eli’s teams are completely mobilized with all of the latest drying technology, advanced air movement equipment, and even portable trailer-sized heaters to bake every molecule of moisture from the air of an affected property. Beyond their abilities, expertise, and high performing tools of the trade, Eli also brings with him an extraordinary level of customer care that can’t be found with other companies in the industry. To take extra care of his clients, Eli even files the insurance paperwork for people. This way they don’t have to take on the added pressure of dealing with an insurance representative while simultaneously stressed about their water damage Sugar Land woes. Eli has solved every imaginable kind of water damage situation that occurs for home and business owners, and this heightened level of expertise is why he knows that prevention is the key to many water damage crises. The people of Sugar Land are constantly at risk of extreme weather and hurricane forces battering their homes, unbuckling their roofs, and flooding everything nearby. Realizing this risk and preventing it from ever happening, Eli and his teams have devised some solid tips and tricks to mitigate the hazards that the forces of nature pose. “Homeowners should always clean out their gutters from debris that may cause clogs and then force water up over the rim and into the layers of roofing that protect the home,” Eli says. In addition to this, people should also direct the flow from their downspouts away from the foundation and the structure of the home or business as a whole. Doing so will prevent the foundation from being inundated with water which can force a water damage situation to occur. Don’t let your home become a victim to flood damage from a hurricane or any other extreme weather event. Make sure you are prepared and that you have the best restoration experts in your corner, ready to take on anything for you. 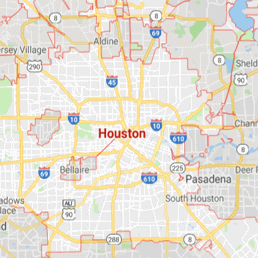 If your home or office location is already dealing with a flood of some sort, then call Eli and his water damage Sugar Land pros with 911 Restoration Houston for any kind of help or advice! today!